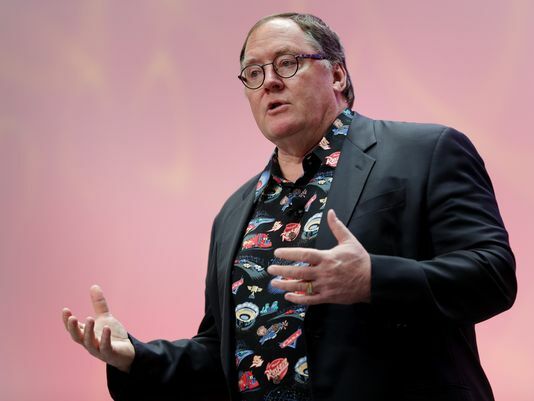 Back in November Lasseter took a six-month leave of absence, after allegations and "missteps" towards his subordinates. As the sabbatical has come to an end Disney released an official statement revealing that Lasseter will assume a consulting role with The Walt Disney Company, however that consulting role will expire December 31, 2018. The Hollywood Reporter is noting that director Pete Doctor (Pixar Animation Studios) and director Jennifer Lee (Disney Animation Studios) will be placed into larger roles within their studio upon Lasseter's departure, though we would like to note that neither studio has named a successor at the time this article has been released. This is tough news to hear. On one hand, John is one of the pioneers at Pixar and helped grow the company we respect deeply into what it is today. He likewise did the same thing with Disney animation as well. On the other hand, if he likewise did what he is accused of, then we believe this is the proper step to take. Some have already reached out to us and ask why his role wouldn't be eliminated right away — or, why it wasn't eliminated back in November 2017. We think that the majority of this decision came from the standpoint of how integral John has been to the organization and the potential impact this would have on investors. The original six-month leave was more than likely a time to reflect and figure out the next steps by Disney. His consultation role through the end of 2018 also means that the company can assuage investors as a new individual is put in place as the creative head. In any regard, we can only make assumptions as to what happened (or to what level they happened) without any additional details revealed. So, although today's news may be heavy, Pixar is a company with a foundation of openness and tolerance for all. We look forward to the future of the company and the wonderful animation and artwork they produce. What are your thoughts regarding the announcement? Leave a comment below, or talk about it with other Pixar fans in the Pixar Post Forum thread regarding Lasseters leave of absense and subsequent exit from the company. Breaking News Pixar Co-Founder John Lasseter set to leave the Walt Disney Company by end of 2018.